Did you know jojoba oil partially resembles our sebum structure? In this review article, you’ll learn everything about how to use jojoba oil for hair growth and for hair loss prevention. You’ll discover the benefits and uses of jojoba oil for hair and skin, studies on using jojoba oil for hair regrowth, and how and where to find great quality oils. Finally, we will reveal the best jojoba oil for hair growth and 2 DIY homemade recipes. Truth or myth: Is jojoba oil similar to human sebum? TOP 3: What’s the best jojoba oil for hair growth? Jojoba, whose scientific name is Simmondsia chinensis, is a woody perennial plant, native to California, Arizona and Mexico. Here is an interesting fact: Jojoba oil is not actually oil, but is a wax ester liquid found inside jojoba seeds. What does “wax ester” liquid mean? To put it simply, wax ester liquid (sometimes referred as wax ester oil) is different from most vegetable oils in terms of the molecule size. The above chart shows over 65% of jojoba oil’s fatty acids is C22 (Bigger and heavier), while olive oil and grapeseed oil are are mostly composed of C18 (Smaller). Is Jojoba oil best hair oil? Jojoba’s wax ester is composed of bigger fatty acid molecules than many other vegetable oils (such as olive oil, grapeseed oil, castor oil), which makes them a great natural emollient agent for moisturizing, soothing, conditioning and protecting the hair and scalp. While Native Americans used jojoba oil for various folk remedies for both topical and dietary reasons for hundreds of years, the most popular use nowadays is for treating and enhancing various skin and hair conditions including hair regrowth. When you do a quick google search, you will see a lot of claims indicating jojoba oil closest to natural skin oil. 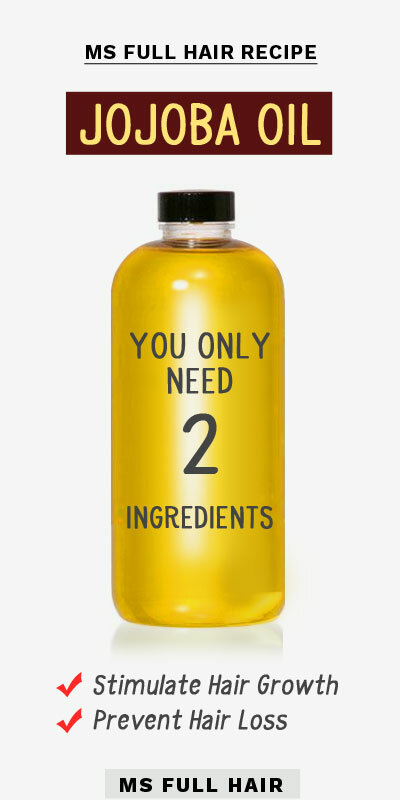 Some say it’s the only oil that mimics sebum. The question becomes – is this really true? Yes: The claims about jojoba oil being similar to human sebum come from these 2 specific fatty acids: C20 and C22 (Scientific names: Eicosenic and Lignoceri). The size and shape of these fatty acids are similar to what is found in adult sebum (Up to 30% to be exact). So in a sense, jojoba oil partially mimics sebum structure. No: Because the fatty acids found in sebum are not actually secreted from sebaceous glands (which is the definition of sebum), but rather a result of bacterial activities on the surface of our skin (2). 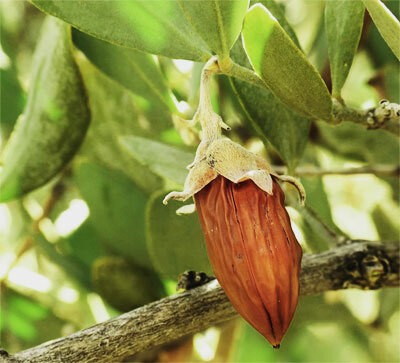 Jojoba oil is mostly used in hair and skin care and there are A LOT of happy users. Let’s go over jojoba oil benefits for hair and skin separately. Is jojoba oil good for hair? There are MULTIPLE benefits of using jojoba oil for hair from getting rid of dandruff, nourishing hair strands, to promoting healthy hair growth. NOTE: Is jojoba oil the best hair oil for hair growth? When it comes to nourishing and hydrating effects, jojoba oil works wonders by adding a natural protective layer to hair cuticles. If you are looking to use jojoba oil for restoring thinning hair and a regrowth stimulating effect, use it with essential oils such as peppermint and lavender oil. Jojoba oil is a great carrier oil for hair because of its antioxidant, anti-inflammatory and antibacterial properties. It also moisturizes the scalp and hair without weighing it down or leaving any greasy residue. Jojoba oil also greatly enhances topical absorption. Jojoba oil is rich in vitamin E with powerful antioxidant properties. Antioxidants prevent the reaction of free radical molecules in our body, which also includes protection of hair follicle cells. When free radical reactions occur on the scalp, it can easily result in damage to hair follicles, which in turn causes premature hair fall-out and overall thinning. Using jojoba oil is a natural solution to prevent such reaction. A study (3) shows that jojoba oil, also known as liquid wax ester, contains active anti-inflammatory compounds when tested in various experimental models including mice. For instance, the researchers found that Jojoba oil naturally decreases various inflammatory symptoms and reactions including edema (skin internal swelling) and granulation tissue formation. Scalp inflammation and hair loss are also closely linked together. 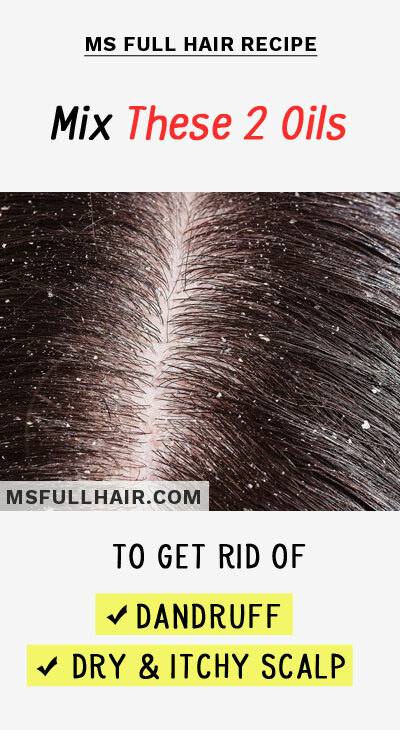 The more inflamed your scalp is, the less chance for follicles to grow healthy, due to inferior growth environment (Read about how magnesium oil can help with inflamed scalp and dissolving calcium deposits). By using jojoba oil, it can help reduce various scalp infections and inflammatory reactions to the follicles, dandruff (which triggers inflammation in the scalp), and minimizing the itchy scalp in the thinning area. A different study (4) tested jojoba oil on various types of bacteria including S aureus and P mirabilis. As a result, the researchers from the study observed “significant anti-bacterial activity” against them with the use of jojoba oil. Anti-bacterial properties make jojoba oil a great addition to your daily hair loss regime by preventing any unwanted bacterial growth on the scalp such as folliculitis (a type of bacterial infection caused by inflammation of hair follicles). Using jojoba oil get rid of both inflammatory and bacterial issues on the scalp in a safe manner. Jojoba oil’s anti-inflammatory, antibacterial, and antioxidant agents ensure that it provides the ideal scalp environment for follicles to grow healthy by preventing any unwanted scalp build up. Jojoba oil is nothing new when it comes to hair growth oil formula among researchers. A number of studies in fact have used jojoba oil as one of their ingredients to find out their growth oil mixtures’ effectiveness for encouraging hair regrowth and stopping hair loss (Scroll down to learn more about these studies). Jojoba oil makes a great natural hair mask by nourishing the hair strands without leaving any greasy feeling or residues. This light-weight oil can be used alone for controlling frizz and nourishing dry and brittle hair. You can use it as overnight deep nourishing treatment or as a daily leave-in conditioner. A study published in the Journal of Cosmetic Dermatology reveals that jojoba wax esters act as a great emollient, thanks to its unique mono-ester structure. This structure provides natural moisturizing, hydrating and soothing properties when used as topical solutions on scalp and hair, skin, and even for nail care. Many cosmetic and skincare products contain jojoba oil because of its natural ability for enhancing topical absorptions as one of many reasons. This may also explain why hair loss studies often opt for jojoba oil as their primary choice of carrier oil in the research. As far as we know, there are no studies done SOLEY for jojoba oil for hair growth. 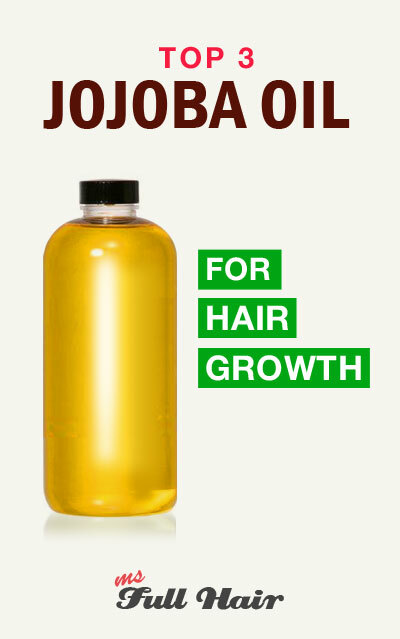 BUT, to be fair, jojoba oil is one of the most popularly used carrier oils in hair growth research studies. This study was designed to find out the effectiveness of peppermint essential oil for stimulating hair growth in mice. Note: In the study, jojoba oil was chosen as the ONLY carrier oil for the purpose of the experiment, which was then mixed with peppermint essential oil using 3% dilution ratio. Within 2 weeks, mice treated with the peppermint/jojoba oil started showing significant hair regrowth. 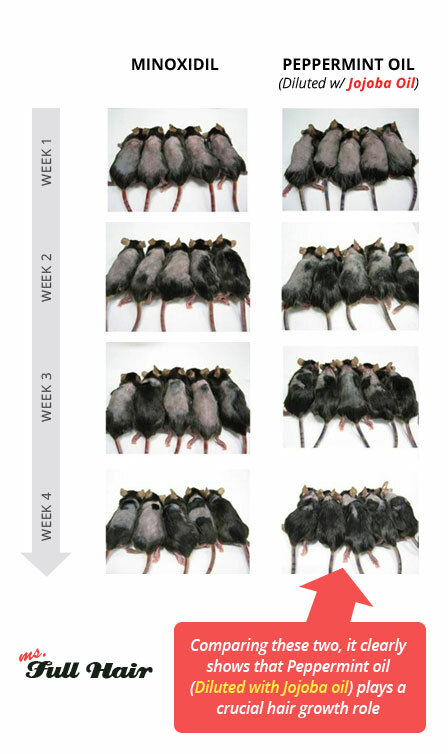 By week 4, you can clearly see that these mice have much more hair follicles than the mice in a minoxidil-treated group. Note: It’s also important to note that the study also tested mice with jojoba oil only, but the result for hair regrowth was not as impressive as the peppermint/jojoba oil mice group. When you combine jojoba oil and peppermint essential oil together, it can be used an effective & safe hair growth treatment for both female and male pattern baldness (also known as androgenetic alopecia). Refer to our recipe #1 to copy this study formula to try for stimulating hair growth. You can also read our article about peppermint essential oil for hair loss here. This study is one of the most well-known experiments using various essential oils for successfully treating alopecia. In this study, total 6 essential and carrier oils were used to find out how well these oils work for promoting hair growth on people with alopecia areata (and YES, jojoba oil was one of them). The study result shows that 44% of the group who topically applied this hair growth oil mix saw great improvements on regrowing hair! The researchers also tested the other half of the participants with carrier oils only. This resulted in improvements in 17% of participants. 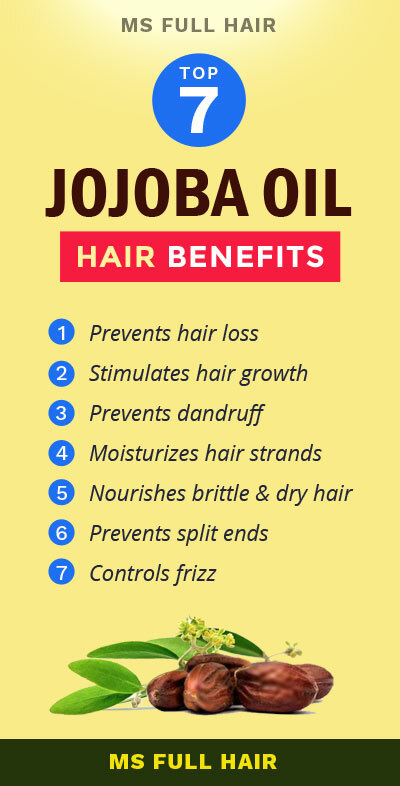 Just like the study #1 (see below), jojoba oil appears to be a great carrier oil to be mixed with essential oils for natural hair loss treatment. In other words, rather than using jojoba oil alone, the growth benefit multiplies when mixed with essential oils such as cedar oil, lavender oil or peppermint oil. Read more details about this study here. Are there any side effects of using jojoba oil for hair loss? 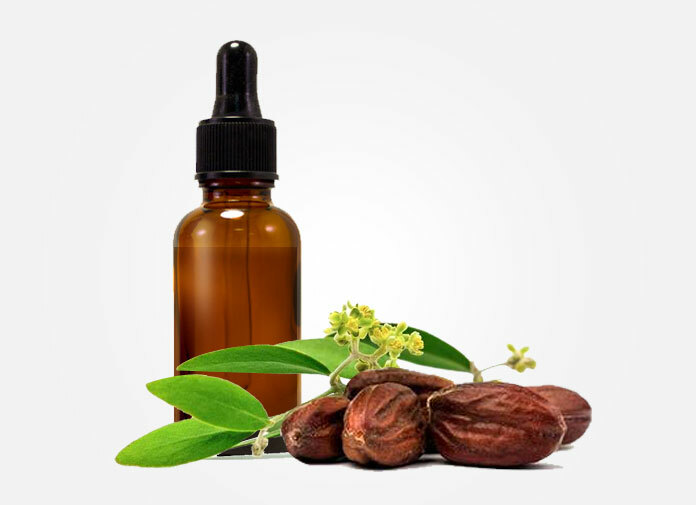 Jojoba oil is likely to be very safe when used as a topical application for hair growth as well as various uses for skin (Dietary consumption is NOT recommended). However, there were a few cases reported from people having reactions such as red and itchy skin (also known as dermatitis). They used products that contain jojoba oil such as moisturizing cream or shampoo. There are 2 most important things to look for when it comes to finding high-quality jojoba oil. Cold pressed oils use an expeller extraction method with a “controlled” temperature. By keeping the temperature to the minimal heat level, it ensures that the liquid has its original color and aroma as well as active compounds intact. Unrefined oils often use the cold-pressed method with minimal heat exposure. In order to be “unrefined” oil, any additives such as deordorizing agents, solvents, or beaches shouldn’t be used. By preventing artificial modifications, unrefined oil is a great way to get the full benefits of oil’s minerals and compounds. You can visually distinguish the difference between unrefined and refined jojoba oils. Unrefined jojoba oil should be a clear gold liquid with a nutty seed odor, while the refined version is likely to have almost no color or order (For instance, this jojoba oil shows its natural gold liquid color). When you get a cold-pressed and unrefined jojoba oil, you are basically getting a fully potent version that contains the oil’s essential vitamins and minerals (Vitamin E, vitamin B, silicon, iodine, copper, and zinc) which also provides anti inflammatory and antibacterial benefits. If you are looking to buy 100% pure organic jojoba oil, Amazon again seems to be your answer with the most selection. We also checked Target and Walmart, but quickly realized that most of them are beauty products (such as shampoo and lotions) that contain jojoba oil instead. 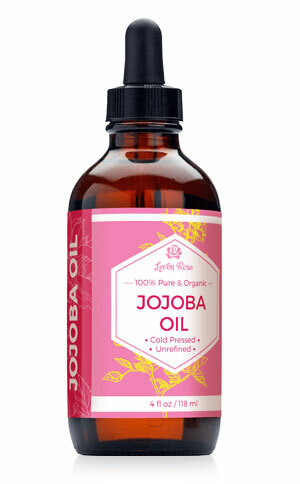 Leven Rose jojoba oil is actually the first oil we came across on Amazon that has over a thousand reviews AND a 5-star rating. This jojoba oil has everything you need when looking for the best quality – Organic, 100% pure, cold pressed and unrefined (plus rave reviews). Also make sure to check out the customer photos as well. People are using this jojoba oil for various uses including hair moisturizing, extending the length of eye lashes, and treating acne. 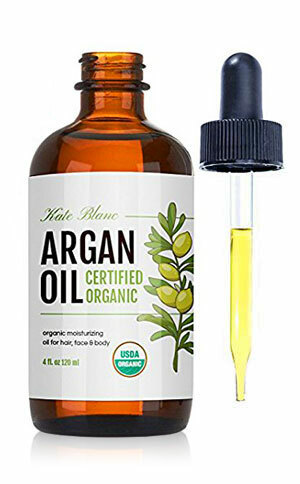 Kate Blanc also provides great jojoba oil for hair growth uses. This USDA organic certified oil also uses the cold-press process to retain its full potency of active minerals and vitamins. This jojoba oil is also unrefined, so you know it’s completely hexane and chemical free. 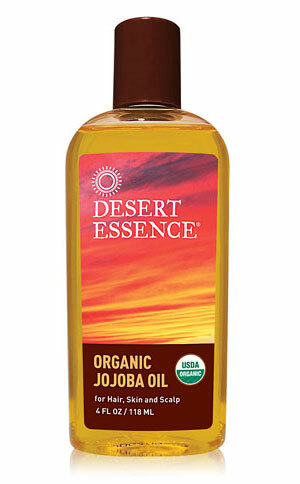 Desert Essence’s jojoba oil is also organic, non-GMO, and uses the cold-pressed extraction process. This jojoba oil is also USDA certified and many reviewers appear to be very satisfied with its quick and easy absorption without making their skin/scalp feeling greasy or residue-y. Going for the best value? Finally, if you are looking to get the best value, consider this 3 carrier oil set sampler, which includes jojoba oil, avocado oil, and almond oil. All these carrier oils are excellent ingredients for making your own DIY hair growth oil mix. Here are two homemade recipes on how to use jojoba oil for hair growth and prevent hair loss caused by dandruff. This recipe follows the above study #1 hair growth oil mix which uses two simple ingredients – Jojoba oil and peppermint oil. 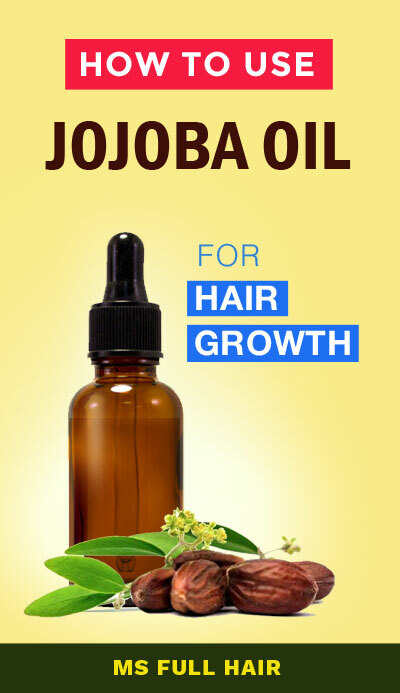 Jojoba Oil for Hair Growth Recipe – So Easy Yet REALLY Effective! If you are looking for hair oil mix to get rid of dandruff (white flaking) or to sooth dry and itchy scalp, use this easy-to-apply recipe. This mixture makes 5% ratio. Apply the mixture 3 times a week. Once the condition improves, reduce the frequency (once a week). Is jojoba oil a carrier oil? Yes, jojoba oil is excellent carrier oil frequently used in hair growth research studies. Other carrier oils you may want to consider include olive oil and grapeseed oil for the purpose of stopping hair fall and preventing premature hair loss. Can you leave jojoba oil in your hair overnight? Yes. You can either use jojoba oil alone (for the use of hair and scalp moisturizing effect) or use it as a part of a hair growth mix (see our DIY recipes above). For an overnight treatment, apply jojoba oil on your hair strands (concentrating on the damaged area and split ends) and leave it overnight. In order to avoid oil residue on your pillow, wear a shower cap overnight and wash it thoroughly the next morning. first wash your hair and use about 5 drops of jojoba oil. Rub it on your palm and apply it onto your hair. Using a boar bristle brush can help evenly distribute the oil and give both lustrous and voluminous finish. Can jojoba oil be used for dandruff? Yes, jojoba oil contains antibacterial and anti-inflammatory agents. When you mix jojoba oil with a few drops of tea tree oil, the oil mix makes an effective anti-dandruff treatment and can also prevent premature hair loss (see our Recipe #2 above). How can I use jojoba oil for black hair? When it comes to using jojoba oil as a hair mask, the topical application method is basically the same (Regardless of ethnicity & whether you have curly hair, straight or coarse hair, thinning hair types). If you are looking to control the frizz and add shines to your hair, you can use jojoba oil alone or mix with other carrier oils (Coconut oil and olive oil being our other favorites for this purpose). Conclusion – Can I use jojoba oil for hair growth? The short answer? Mix with essential oils if you are looking to stimulate hair growth (Consider peppermint oil and lavender oil). While jojoba oil makes exceptional carrier oil, the oil itself doesn’t appear to give out enough scalp stimulating effect to fully grow your hair back. But, it’s EQUALLY important to note that a number of studies have successfully used jojoba oil as the primary choice of carrier oil in their hair growth studies. Why? It’s probably because jojoba oil is packed essential vitamins and minerals (Vitamin B & E, iodine, copper, and zinc) as well as anti inflammatory and antibacterial properties. Its easy absorption to the scalp without leaving any residue is another great benefit of using jojoba oil as hair loss carrier oil. Have you used jojoba oil for your hair? How was your experience? We would love to hear your personal experience!